Think of a coin purse from Hermès and chances are Bastia would be the first thing that comes to mind. A discreet squarish piece that comes in a wide array of colours, it’s no wonder it leads when it comes to this category of SLGs at the French luxury house. If, however, you already own a Bastia or two, and are looking for something that looks different but serves a similar purpose, you can consider the 24 Change Purse, which comes in leather options like Chèvre and Epsom. Measuring just 9 cm by 7 cm, with an irregular hexagonal shape that reminds one of a super miniaturised Opli Clutch, you unbutton the palladium-plated Clou de Selle snap closure and you will find an origami-esque compartment that’s expandable. Perfect for days when the coffee auntie returns your change completely in coins. In comparison, the 24 Change Purse is also a tad bit more convenient because all your coins are within a single compartment, compared to the Bastia that will have loose change all over. 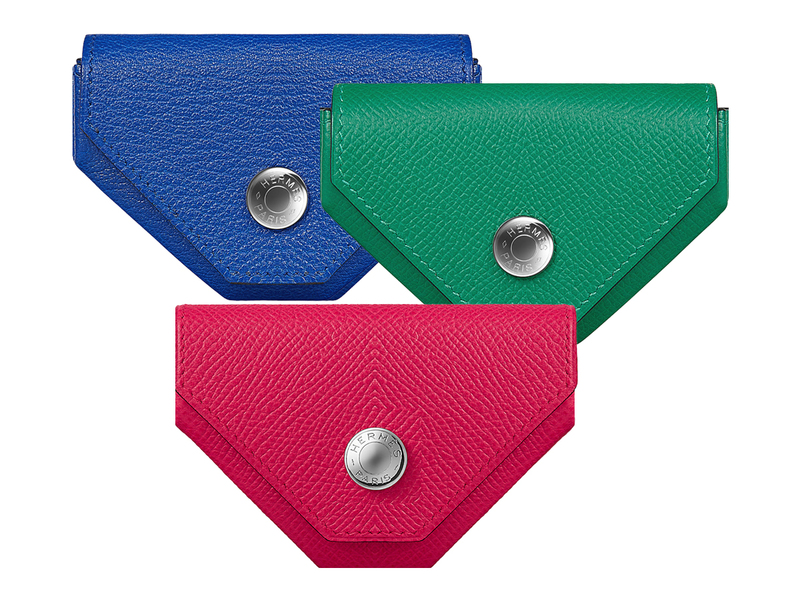 Now, if you’re all set on getting one, know that the 24 Change Purse is priced at SGD640 in Singapore, with colours varying from store to store. In other words, check in with your local SA on the colours available. For an indicative guide, take a look at some of the colours above, which include bolder hues like Bleu Electrique and Rose Extreme, or something rare and unique like that lovely green shade of Vert Vertigo.